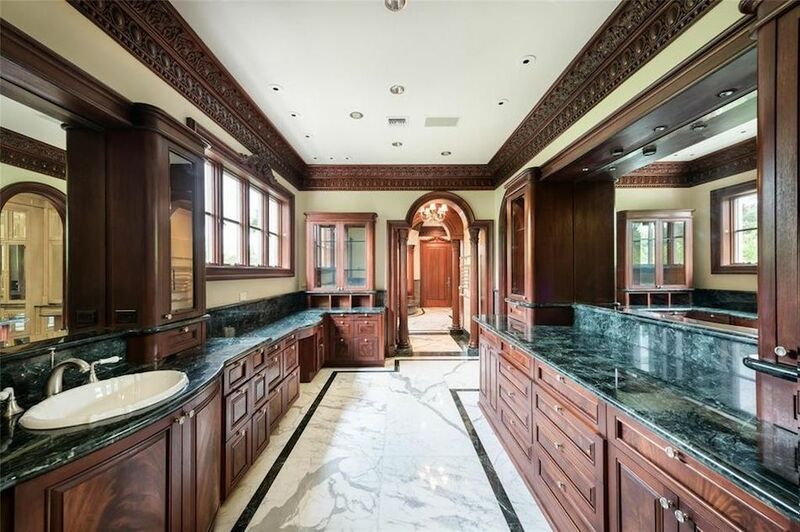 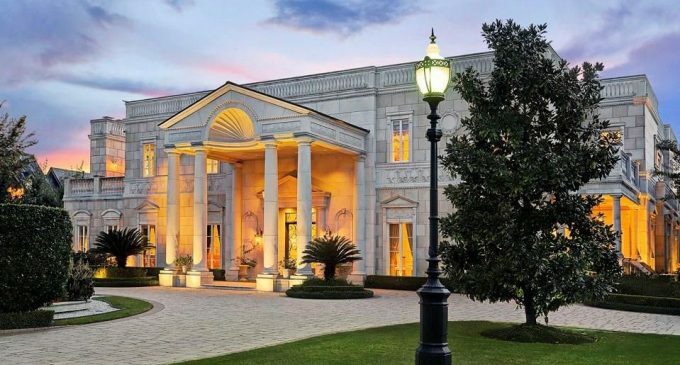 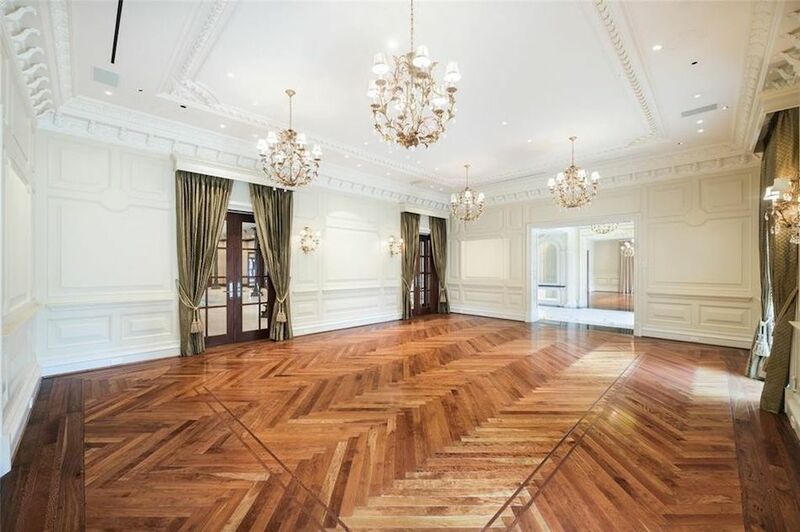 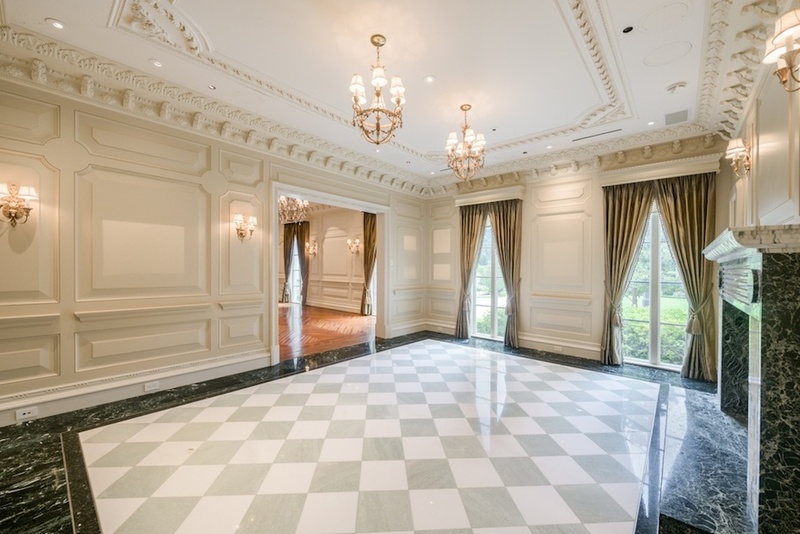 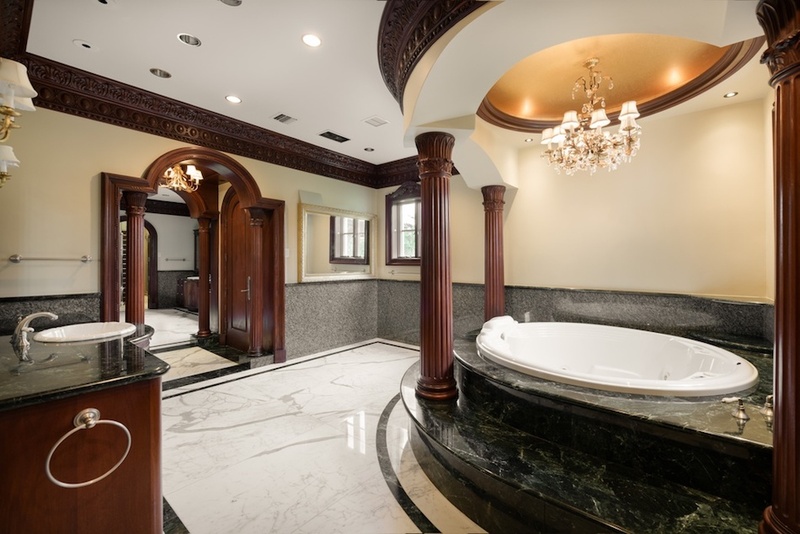 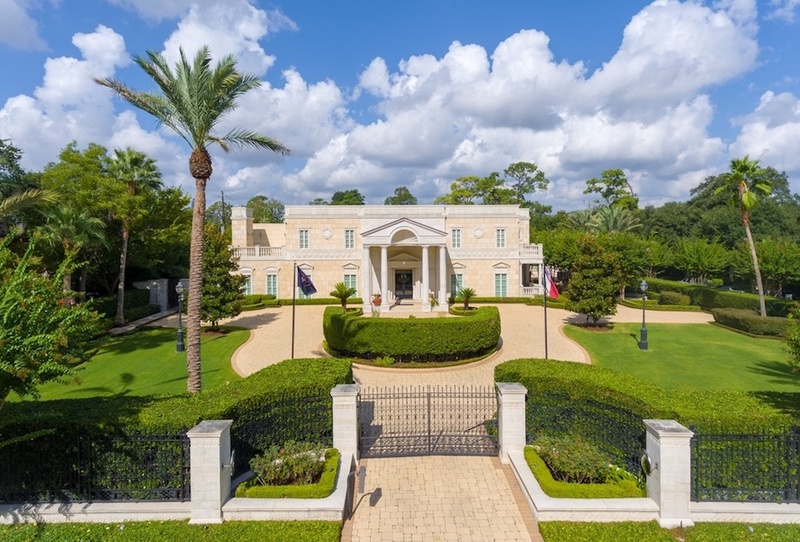 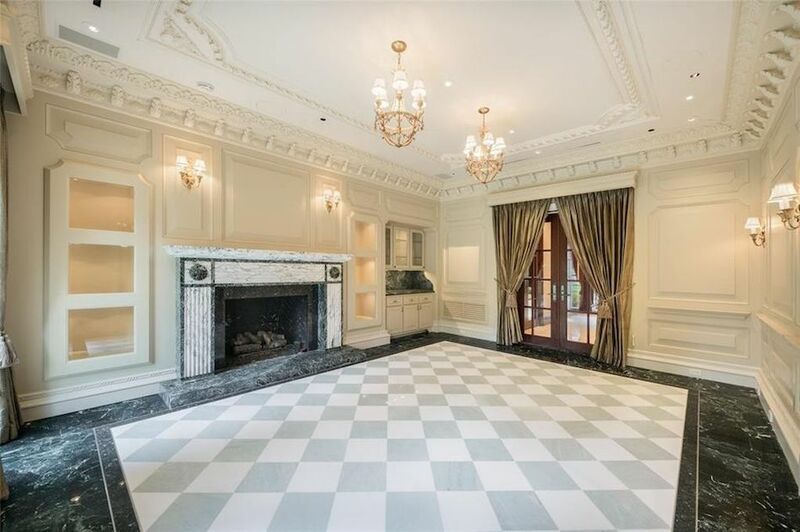 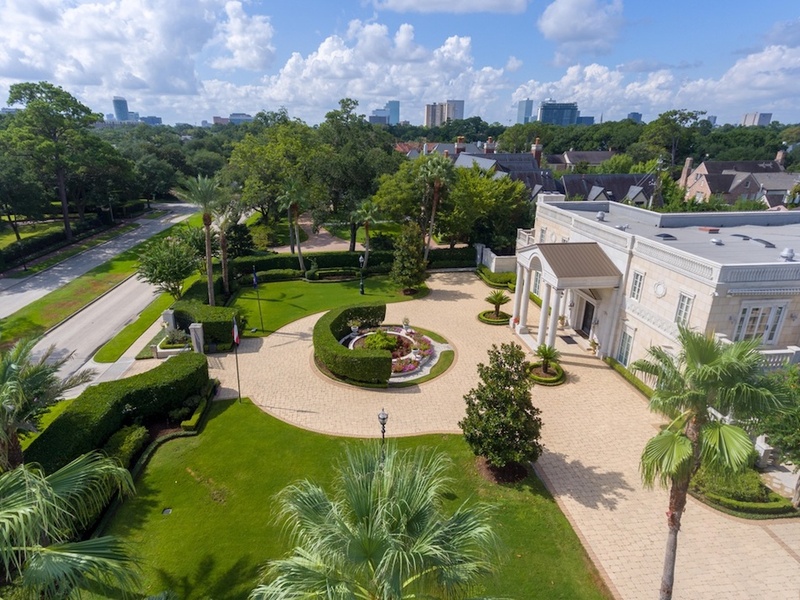 A palatial regency-style mansion on more than an acre of property in Houston, Texas has been reduced to $9,750,000 $14,900,000. 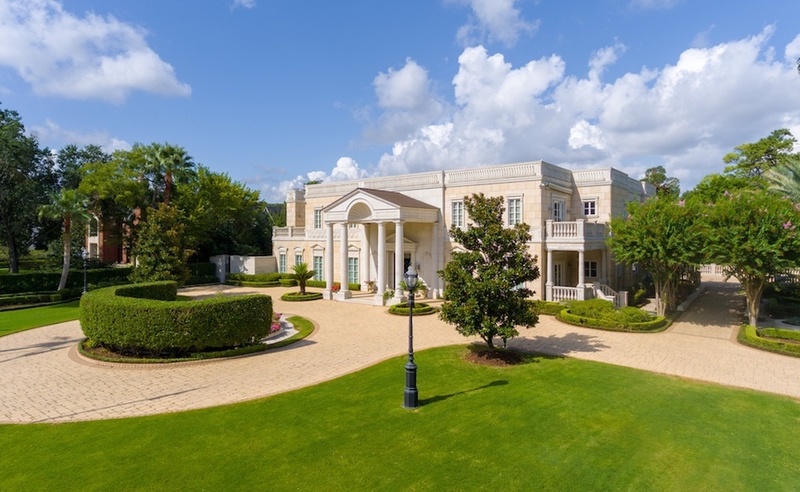 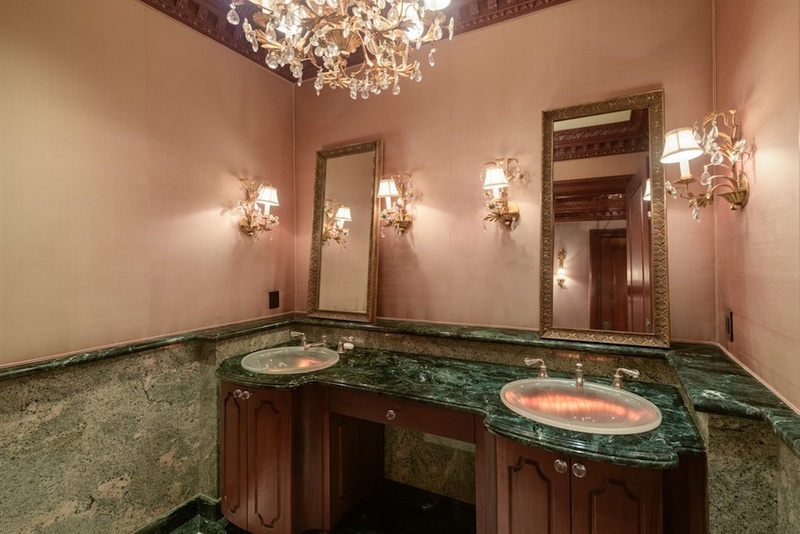 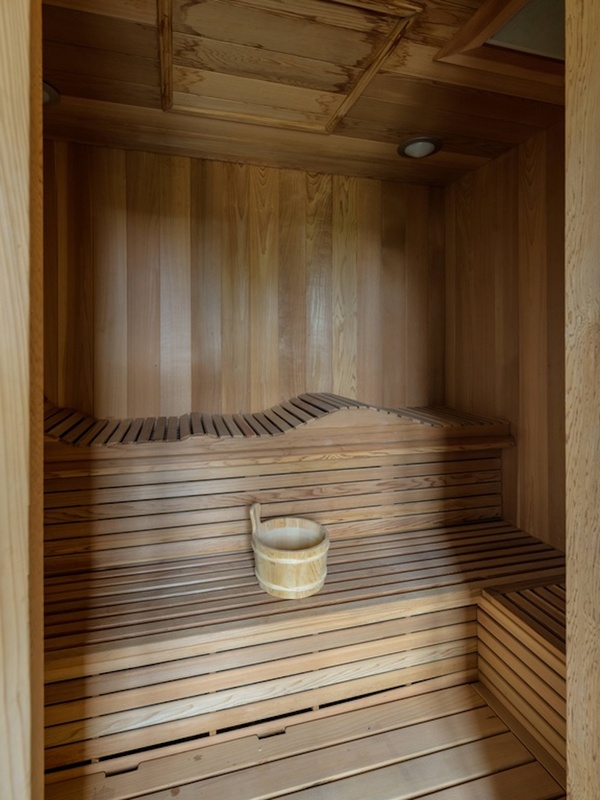 It came on the market in March 2018 for $15,900,000 and is currently facing foreclosure. 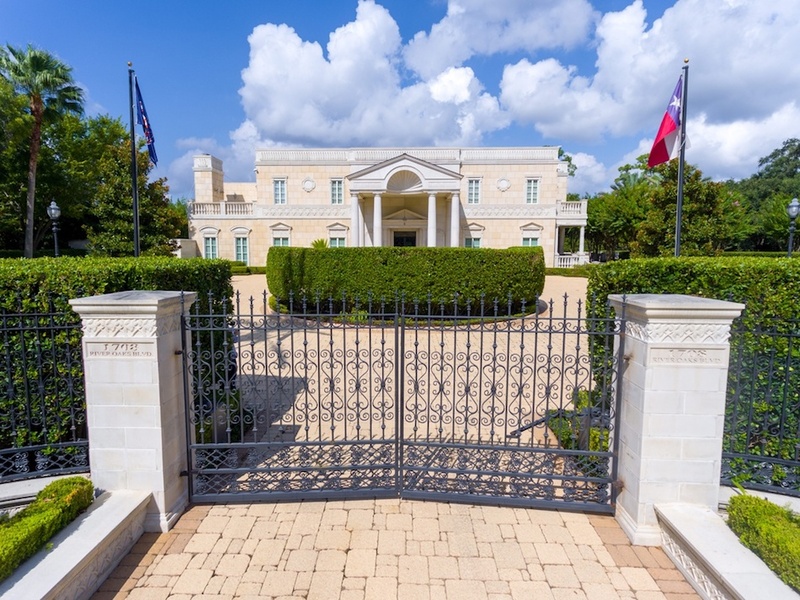 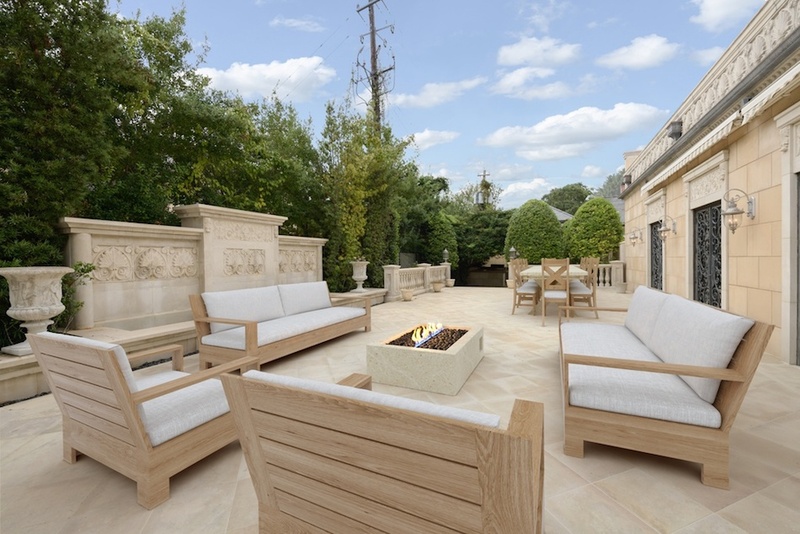 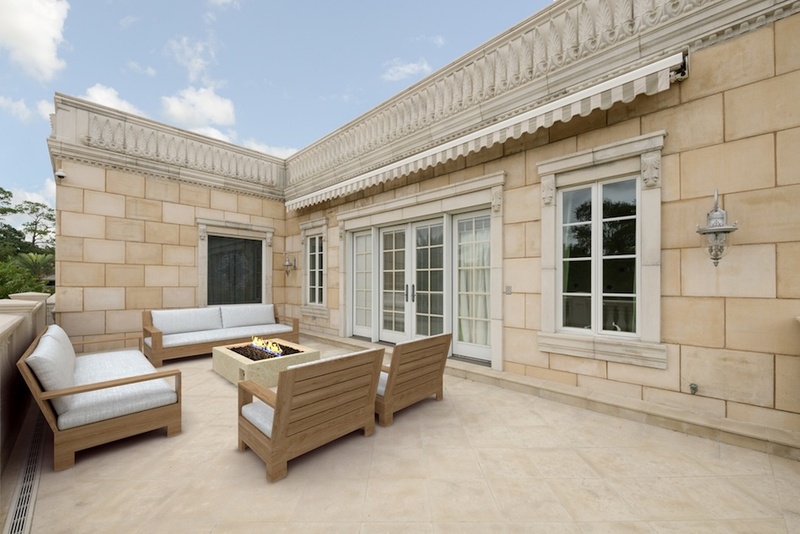 Constructed of Texas Cream limestone, the stone manor extends more than 15,000 square feet with opulent details and finishes throughout. 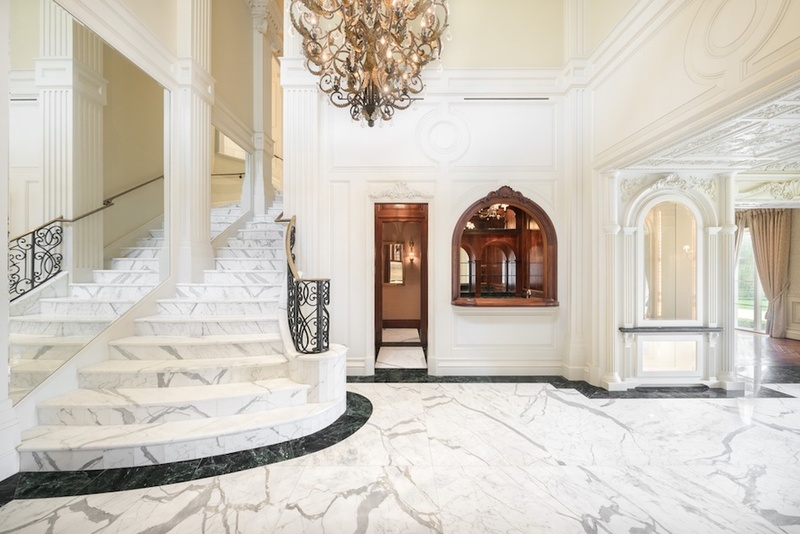 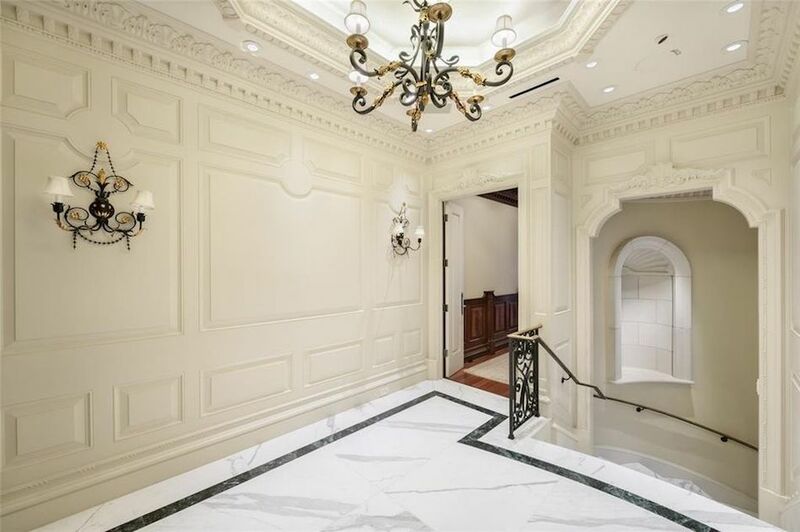 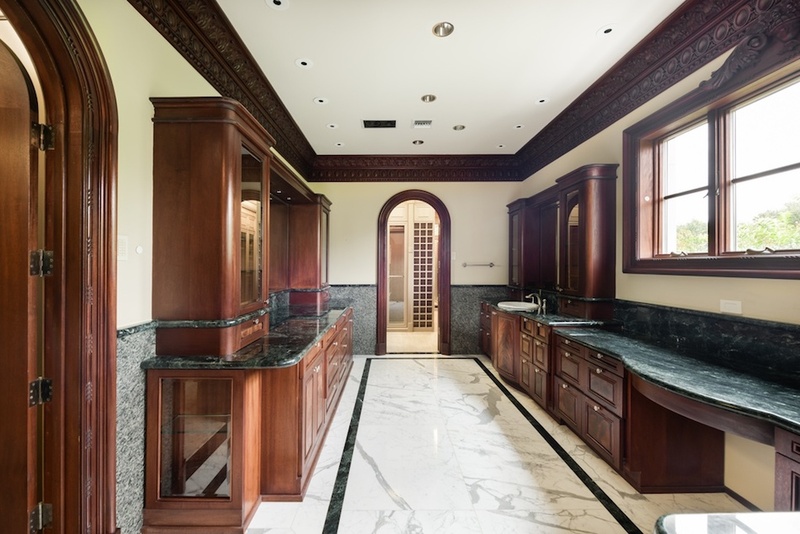 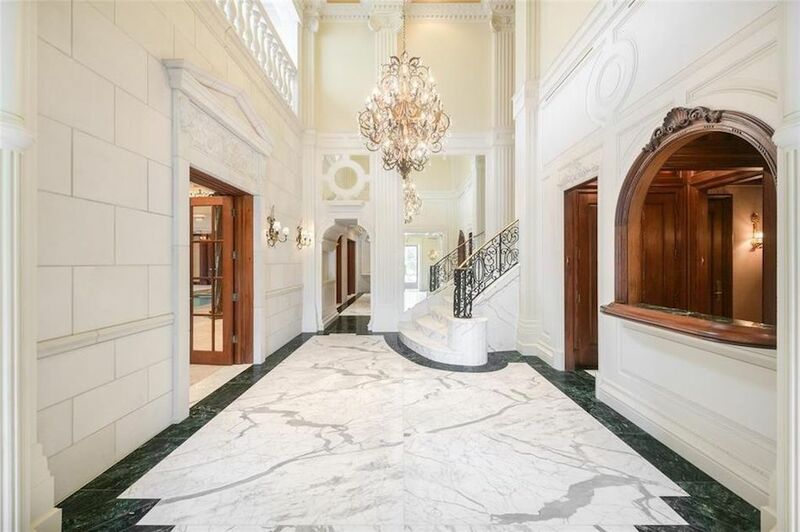 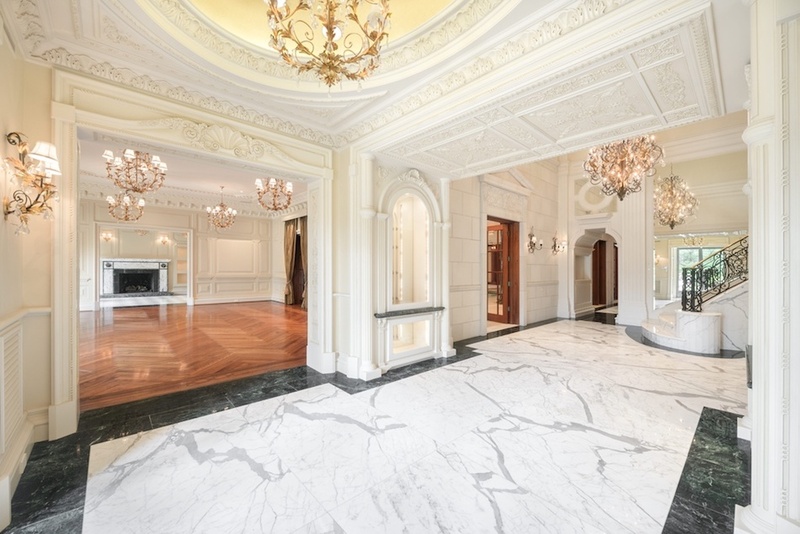 Enter into a formal marble entrance with ornate moulding detail and a collection of sparkling chandeliers before settling in the formal living room with an adjoining sitting room for intimate gatherings. 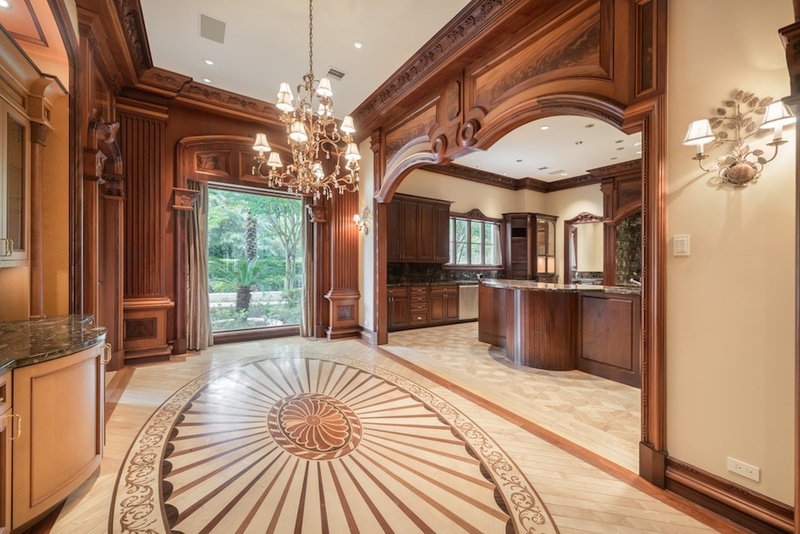 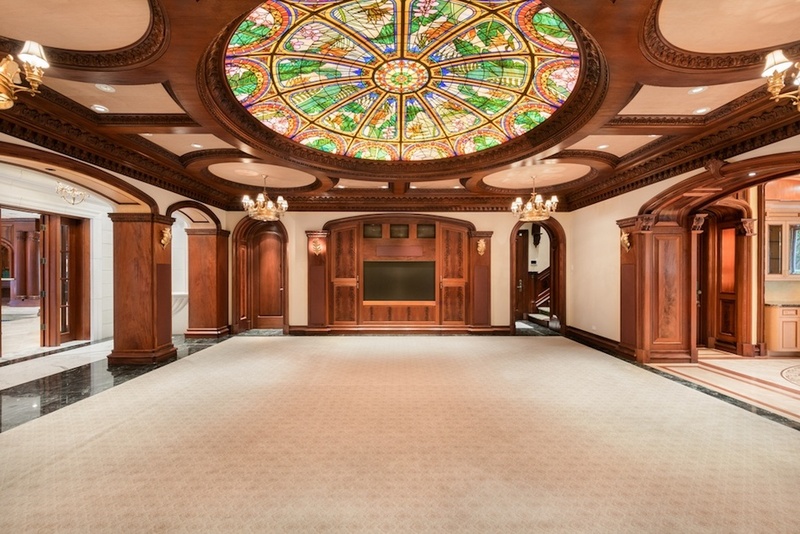 Marvel at details such an inlaid hardwood flooring, mahogany panelling & doors and a massive Tiffany-style glass domed ceiling in the family room. 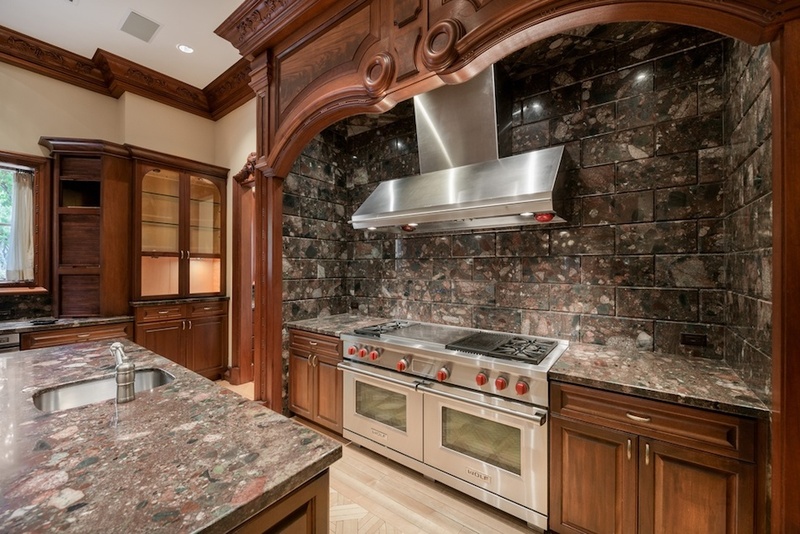 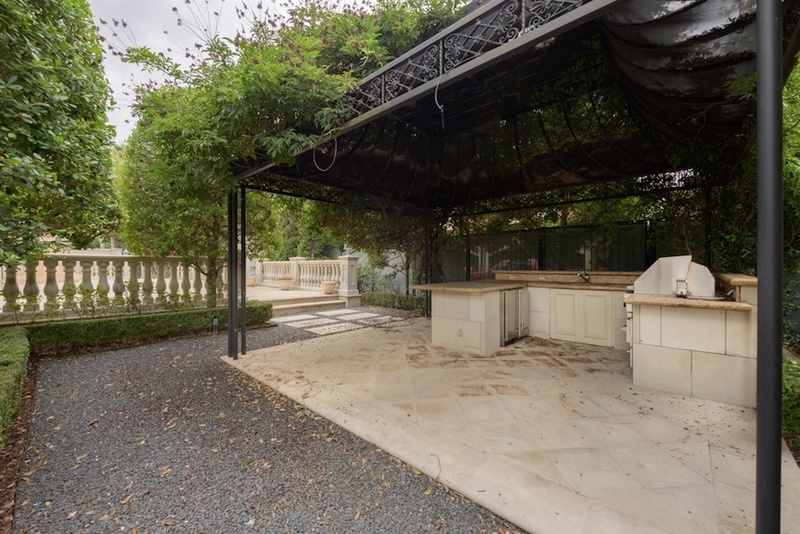 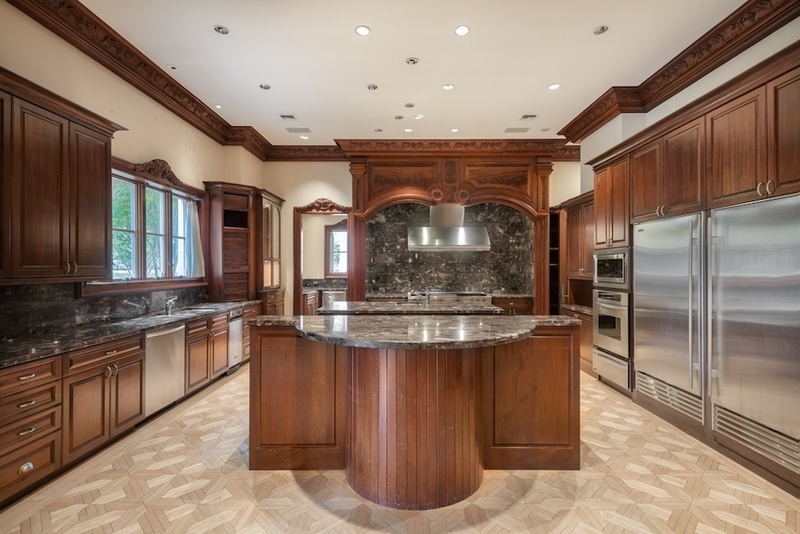 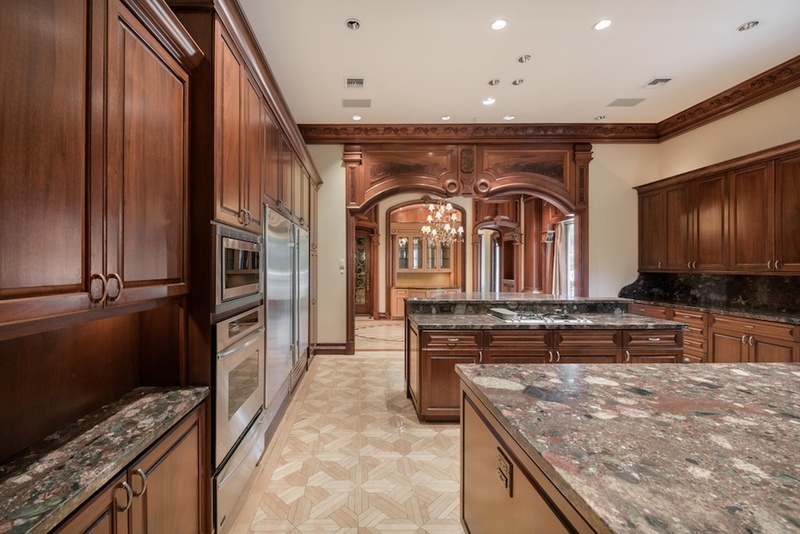 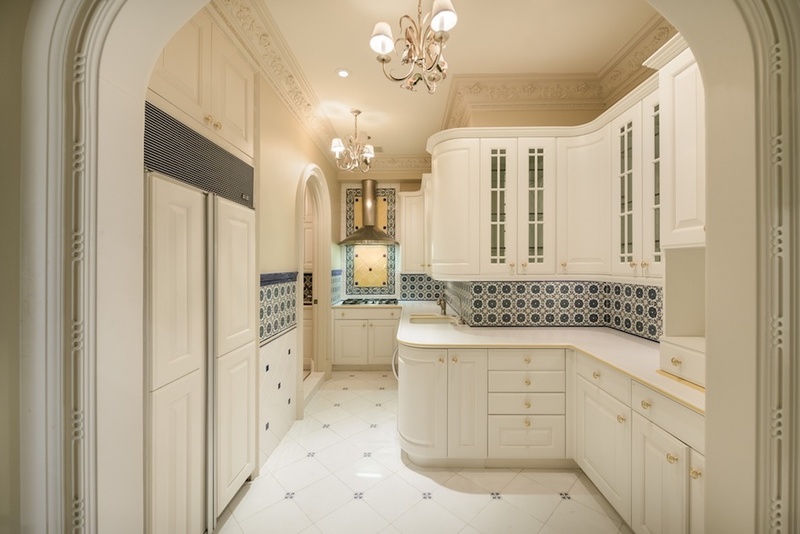 Continue to the extensive gourmet kitchen, large breakfast nook and formal dining room with lovely ceiling detail. 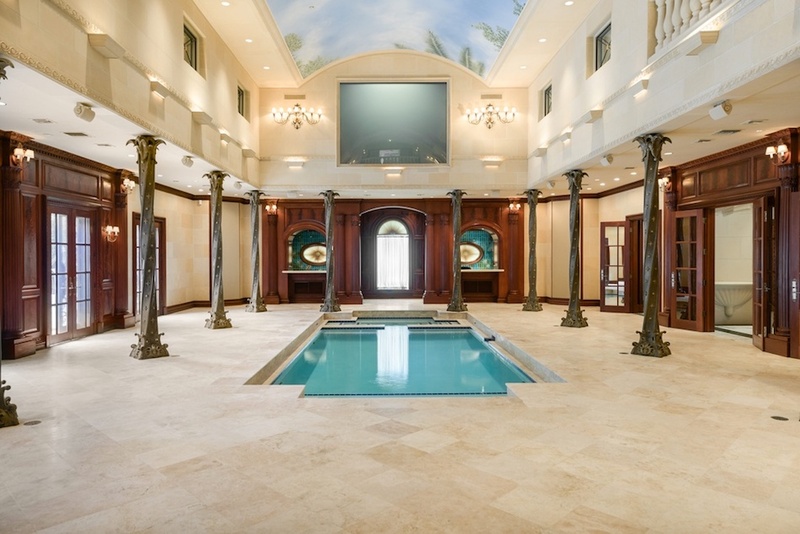 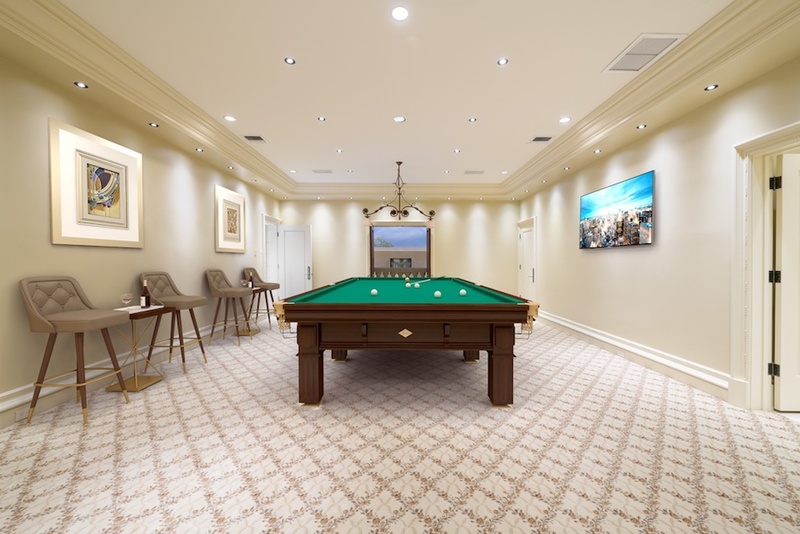 One of the highlights of the home is the large natatorium of which many of the rooms open into. 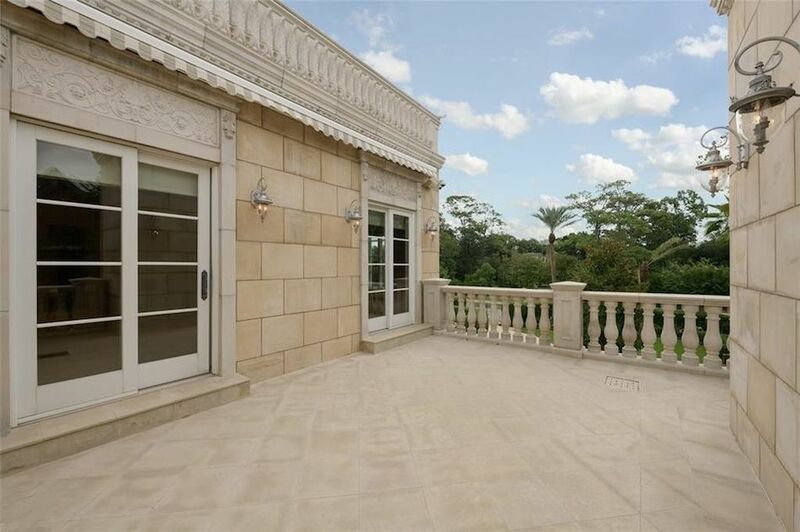 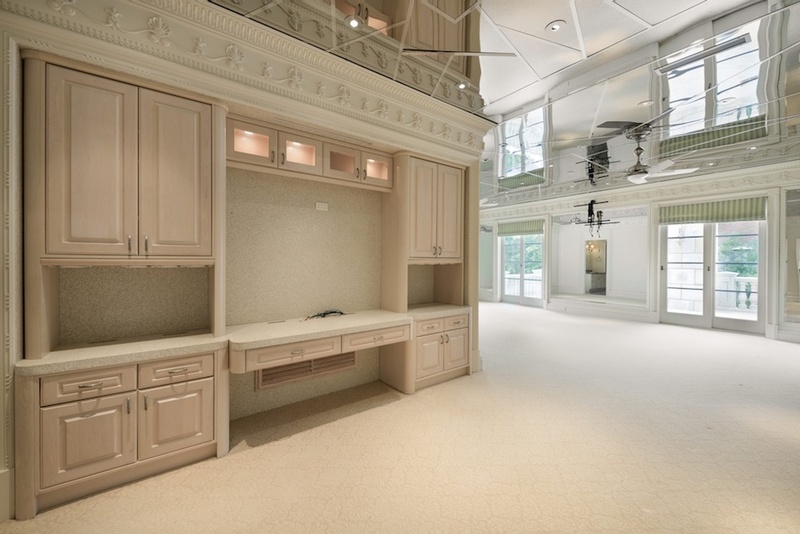 Custom columns, balconies and a swimming pool & hot tub are just a few of the features of this unique space. 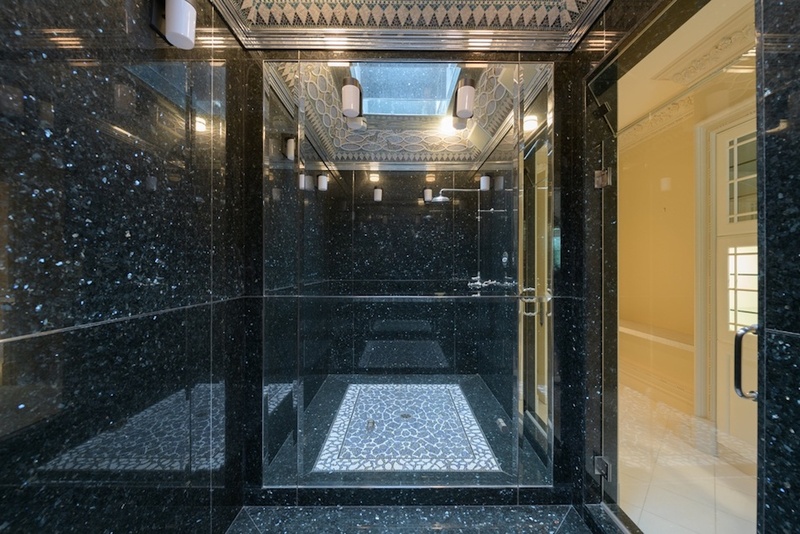 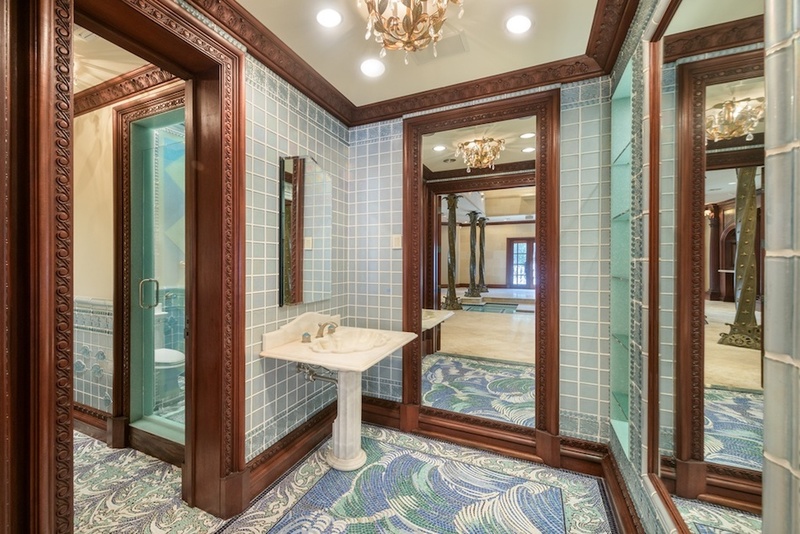 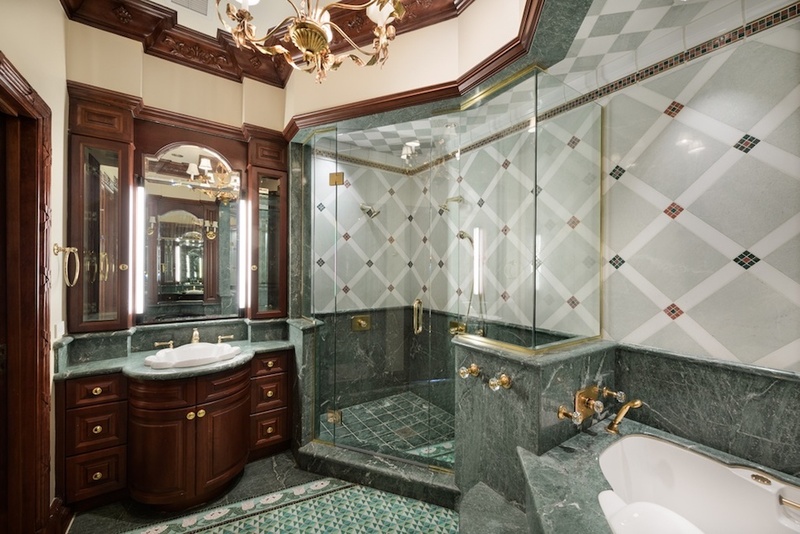 There are 4 bedrooms and 8 bathrooms throughout. 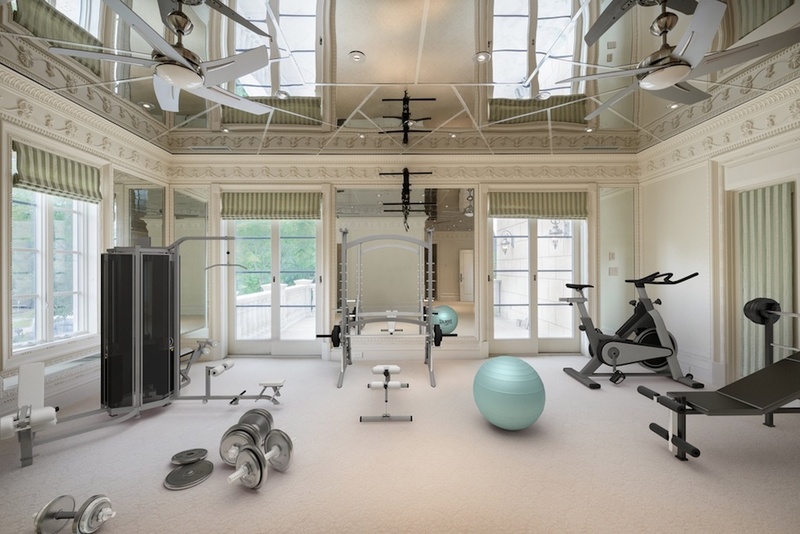 Equally impressive are electronic systems offering complete Creston Automated control of Lutron based lighting systems, a distributed multi-zone audio system including three Sirius Satellite tuners, all automated window shades, exterior gates, irrigation system, mosquito system, security system and multiple zones of HVAC. 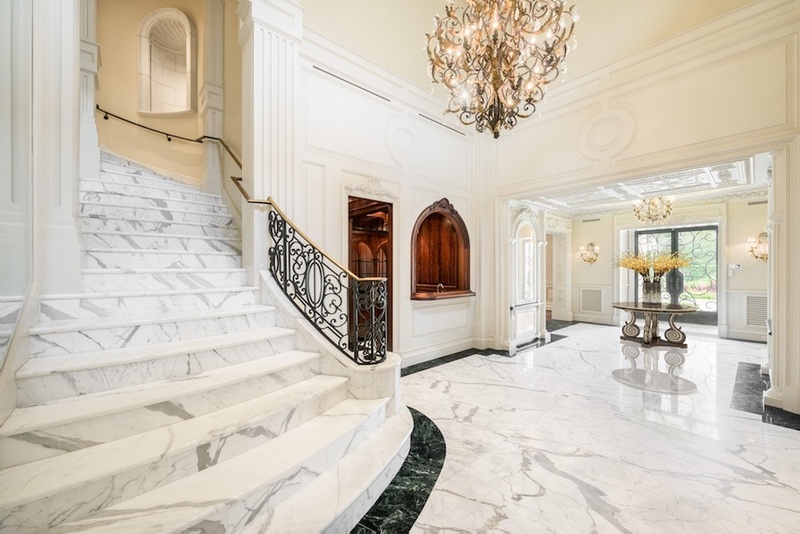 The property is on the market for $9,750,000 $14,900,000 $15,900,000 with Claudia Fathivand. 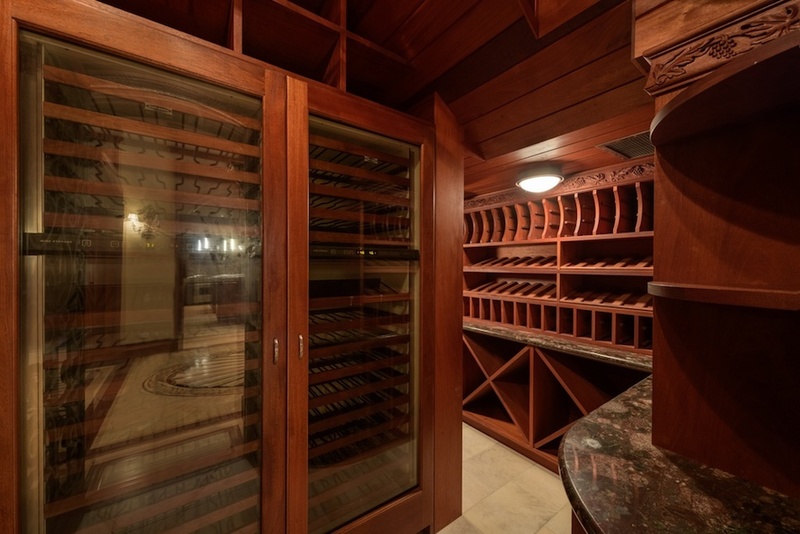 Be sure to check out a collection of furnished photos from the previous listing here.